Operating an excavator in crowded spaces leaves little room for error. 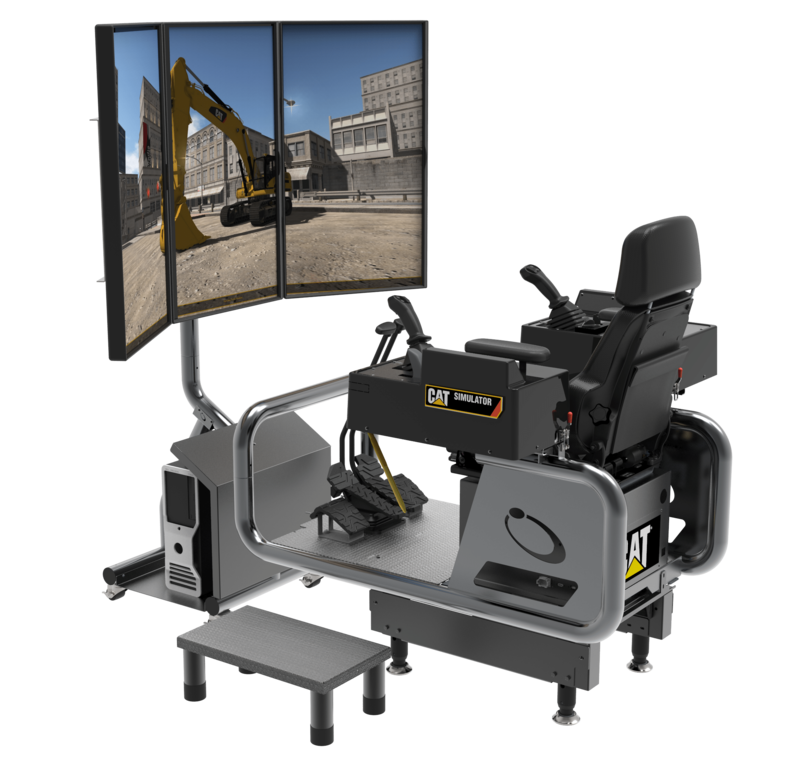 Learn how to dig footings, dig trenching for underground pipe, and more with Cat® Simulators Advanced Construction Excavator Simulator System. Experience training exercises such as a Machine Walkaround, Controls Familiarization, Maneuvering the Machine, Maneuvering Hoisted Objects, Dig Footings, Bench Loading, Trenching and Pipe Installation, and Clearing Debris Piles. Each exercise includes an option to use Grade Control and/or Open Training mode. Plus, record and report each simulator session so operators, instructors and administrators can see the results. Hardware – Frame and controls needed to operate the simulator, computer, mouse, keyboard, seat, one monitor stand and three 43″ monitors. Software – Advanced Construction Excavator Simulator software and SimU Campus Training Records Management software. Languages supported in the software include English, French, Spanish and Chinese. Support – Telephone support in English, 24x7x365 plus any software maintenance updates for 1 year. This is an annual subscription with a yearly renewal fee. Motion system. Allows users to feel vibration and movement when the simulated machine is running during training exercises. This accessory can be added at additional cost. 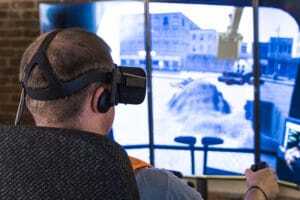 VR Edition: Allows users deeper engagement in the simulated environment with the addition of virtual reality headgear. Pricing may vary based on location.